The 4th of July DC Events You Can’t Miss! Washington, DC is by far one of the most patriotic cities in America when it comes to celebrating Independence Day. From the large parades and spectacular fireworks, to DC bar crawls and festivals, our nation’s capital certainly knows how to show it’s patriotism. 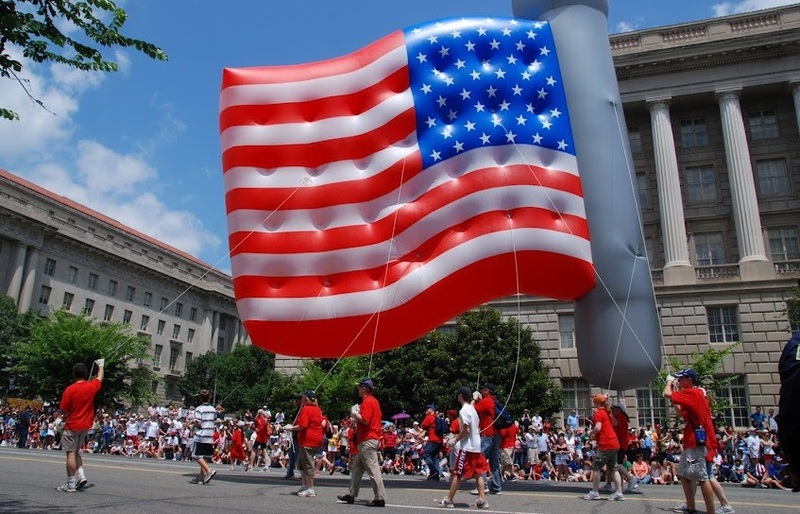 There are plenty of fun events taking place in celebration of America’s Birthday, but which of the 4th of July DC events are worth checking out? We have you covered! The All American Bar Crawl will take place on Saturday, June 29th in Arlington, VA. Enjoy an entire day (1pm to 9pm) of food and drink specials while bar hopping through Clarendon’s most popular pubs with thousands of the nation’s most patriotic crawlers. Participants will receive a souvenir event mug, patriotic beads, exclusive specials, free pictures of the event, and a raffle entry to win great prizes. Oh, and there are also prizes for the most festively dressed participants, so expect some crazy red, white and blue attires! Drink specials include $2 Yuengling Lagers and Yuengling Light Lagers, $3 Absolut & flavors, and $4 Freedom shots. Tickets are limited and selling fast, so visit www.allamericanbarcrawl.com and register today. If you’re like everyone else, on July 3rd you’ll be counting down the seconds for that early dismissal. Have no plans yet? Well fear not because the annual Midtown Liberty Bar Tour is happening right after work. Enjoy $2 Coors Light and $3 Blue Moon at 10+ bars, from 5pm to midnight. Show up at The Front Page or Mackey’s anytime after 5 to sign up. Keep in mind, if you plan on enjoying parades, fireworks, and barbecues the following day, you may way to drink at The All American Bar Crawl a few days before instead. Hosted by pubcrawls.com, this 4th of July event starts off at Bread and Brew in DC at 3pm. Although no other bars have been announced yet, specials include $2 American drafts, $3 American bottles, and $4 well drinks. 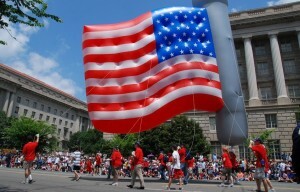 Get your American flags ready and head down to Constitution Ave and 7th Street NW for the annual 4th of July DC Parade. The parade kicks off at 11:45 am and will feature marching bands from all over the country, military and specialty units, and patriotic floats. If you’re ready for some live music, then prepare yourself for the Capitol Fourth Concert on the West Lawn of the US Capitol. The concert is from 8-9:30 pm, but admittance begins at 3pm. This free 4th of July tradition includes a live concert by the National Symphony Orchestra and several pop artist performances. So whether you are looking to get out, meet new friends, or simply show your patriotism and have a drink for America, you could not be in a better city to do so.